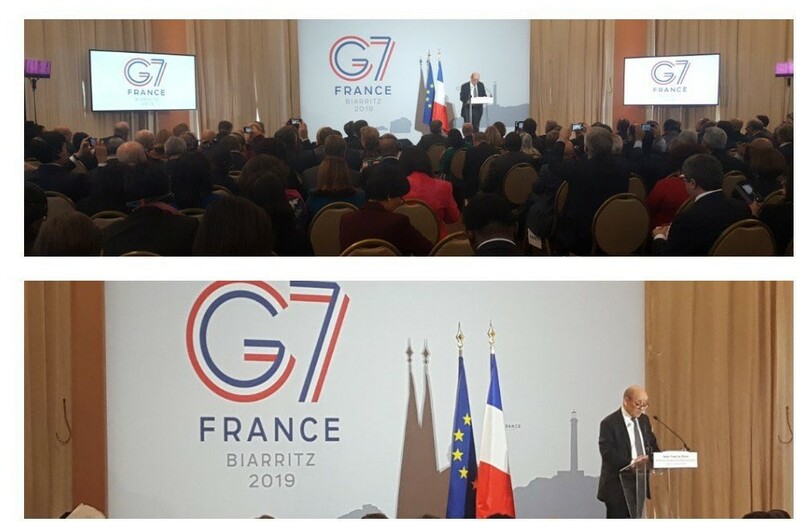 On December 18, 2018, Ambassador Nataša Marić attended an event organized in Biarritz for ambassadors accredited in France where the priorities of the French Presidency of the G7 in 2019 were presented by Minister of Foreign Affairs and European Affairs Le Drian. EXHIBITION "CANDILIS JOSIC WOODS" AND QUARTET CONCERT "PANONIA"
The exhibition "Candilis Josic Woods - 50 Years Since the Fractious 1968" presented the exhibition "Architectural Trio" by Aljoša Josić, a French architect of Serbian origin, at the Cultural Center of the Republic of Serbia. 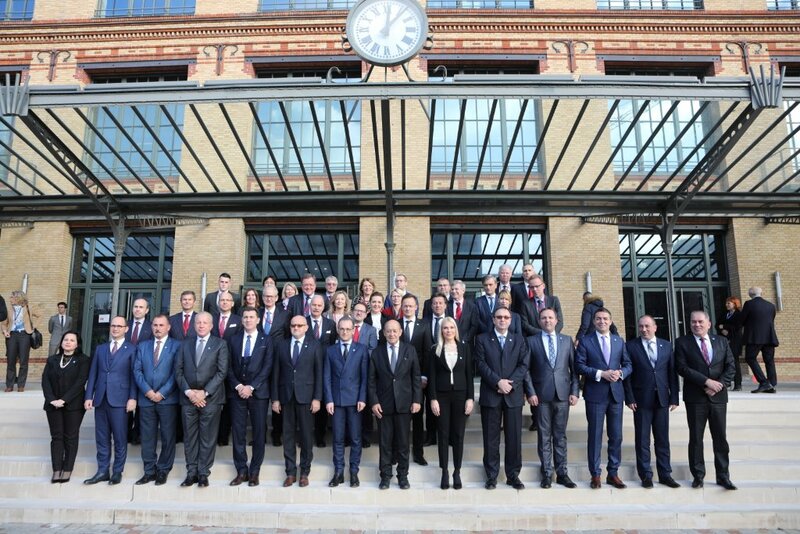 The Delegation of the Republic of Serbia, led by the State Secretary of the Ministry of the Interior of the Republic of Serbia, Ms. Biljana Popović Ivković, participated in the High-Level Meeting on the Franco-German Initiative to control illicit small arms and light weapons (SALW), held on December 11, 2018 in Paris. Ambassador Natasa Marić attended the celebration of 70 years since the adoption of the Universal Declaration of Human Rights held in Quai d’Orsay on Monday, December 10, 2018. Participants of the conference reiterated the importance of respecting human rights and emphasized adherence to universal values. The guests of art were addressed by the art historian Dr. Tijana Metlić, the director of the Matica Serbian Ms. Tijana Palkovljević Bulgarski and the Director of the Cultural Center Mr. Radoslav Pavlović. 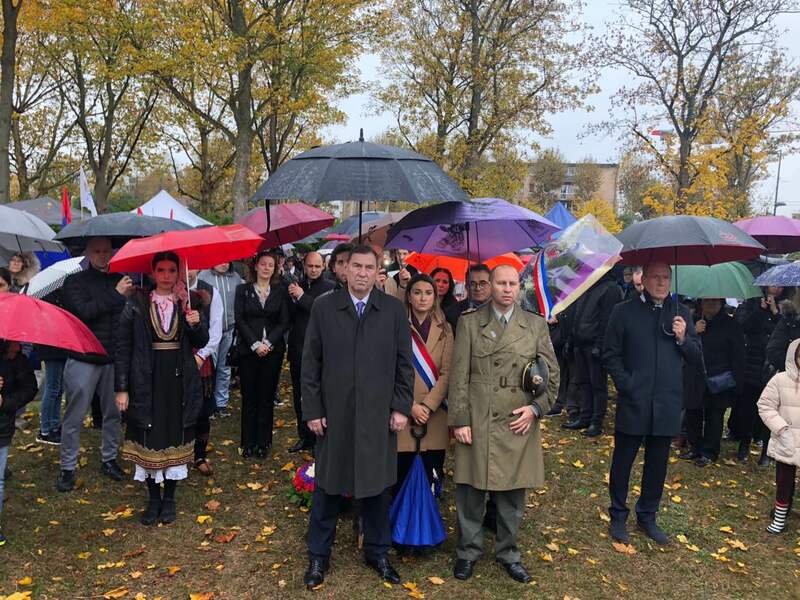 On the occasion of marking the centenary - the Day of Armistice in the First World War, on Saturday, November 10th, at the cemetery Tija (Thiais), where about 750 Serb fighters were killed in the First World War. War, a ceremonial ceremony was held to honor the fallen warriors and lay wreaths on the memorial. RECEIVING THE DAY OF THE STATE OF THE REPUBLIC OF SERBIA 14.02.2018. In the ambassador's residence in Paris, on Thursday, February 15, 2018, a reception was held on the occasion of the Statehood Day. The reception was attended by 750 officials, of which 75 ambassadors, 40 military delegates and numerous representatives from the political, economic and cultural milieu, as well as distinguished figures from the diaspora. 09.06.2017. - Embassy of the Republic of Serbia implemented the procurement procedure of goods – tempest computers for the purposes of diplomatic missions and consular posts of the Republic of Serbia abroad and invites all interested bidders to submit their bids until 22 June 2017, at 11:00 am. Embassy of the Republic of Serbia implemented the procurement procedure of goods – tempest computers for the purposes of diplomatic missions and consular posts of the Republic of Serbia abroad and invites all interested bidders to submit their bids until 22 June 2017, at 11:00 am. The Invitation to bid in english language you may download here. For all information please contact Mr. Miloš Jastrebić at the following telephone number +33 1 4072-2417, e-mail address ambassade.paris@mfa.rs.